Get ready for a fierce bowling match next week! 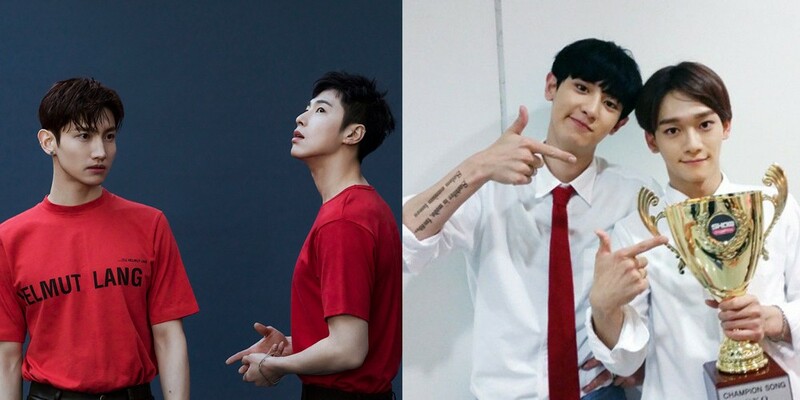 TVXQ's Yunho and Changmin, two bowling lovers, have challenged fellow labelmates EXO's Chanyeol and Chen to a 'Kingpin' bowling match! On March 26 at 10 PM KST on SMTOWN's 'V Live' channel, fans will be able to catch the live broadcast of TVXQ vs. EXO's bowling match, specially MC-ed by Super Junior's Leeteuk. During the match, TVXQ also plan on sharing some behind the scene stories from their upcoming 8th full album, 'New Chapter #1 : The Chance of Love'. Who do you think will win?